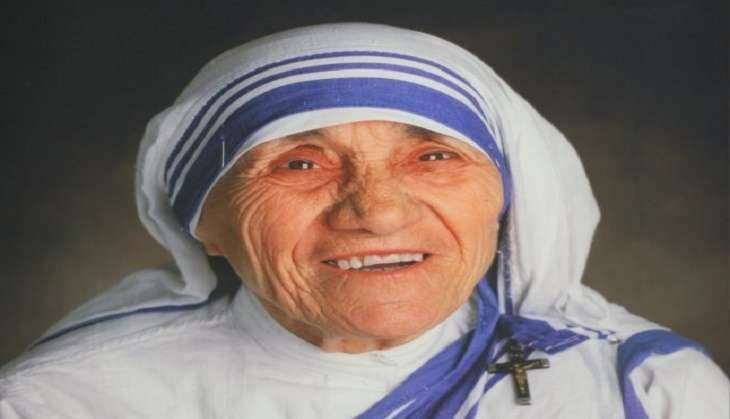 Thousands of faithfuls and nuns from Missionaries of Charity from across the city gathered at the Mother House, where Saint Teresa of Calcutta lived, to pay tribute to the late Roman Catholic nun on her 19th death anniversary today. Coming just a day after she was canonised by Pope Francis in the Vatican City, the death anniversary which is observed as a feast day by nuns of the order, had a special significance. Every day at 6 am, a mass is organised at the Mother House but this time it was to seek blessings from St Teresa. Salvatore Pennacchio, who is the Apostolic Nuncio in India, flew down from New Delhi to attend the special occasion. Nuns prayed before St Teresa's tomb at the Mother House seeking her blessings. United Nations has been observing 5 September every year as the International Day of Charity to commemorate the anniversary of the passing away of St. Teresa who received the Nobel Peace Prize in 1979 "for work undertaken in the struggle to overcome poverty and distress, which also constitute a threat to peace". With a single-minded mission of serving the poorest of the poor, St. Teresa worked for the poor, sick, orphaned and dying on the streets of Kolkata before her death on this day in 1997, at the age of 87. Her canonisation mass was attended by more than 1,00,000 pilgrims, including 13 heads of state or government and hundreds of sari-clad nuns from the Missionaries of Charity. READ NEXT >> Will airlines ban Samsung phones after their recall for exploding batteries?